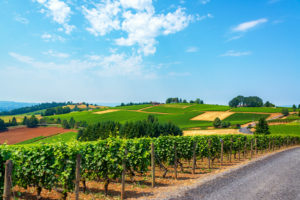 It’s natural that the Willamette Valley, known for award winning wines, would also have a wealth of excellent restaurants. After all wine perfectly paired with a superb meal is one of life’s greatest pleasures. This creative and diverse restaurant scene has grown from the same fertile soil that nourishes the acres of vineyards. Not only did the winemaking valley attract talented chefs but farmers as well. This partnership created the thriving food culture with some of the best restaurants found in the Northwest. The choice of cuisine is globally inspired but locally sourced. With settings from elegant multi-course meals to quick gourmet bites between wine tastings. Whatever dining experience you choose the outstanding pinot noirs will taste even better alongside an amazing meal. When planning an Oregon Wine Country vacation, find the perfect lodging at the Bed and Breakfasts of Yamhill County. Our association has over 20 member Inns and Bed and Breakfasts in the Willamette Valley. Search by location or special amenities and book your wine and foodie getaway to Oregon Wine Country this spring. The quiet Cellar Season has begun in the mist covered Willamette Valley. Young wines from the Fall harvest rest in their barrels, while they undergo their transformation into what will be the new exciting vintages enjoyed throughout the coming year. Cellar season also happens to be the perfect time to explore Oregon’s top tasting rooms, without the hassle of summer’s big crowds. It’s this time of year when the talented winemakers can linger over flights with guests, enjoying the fruits of their hard labor. 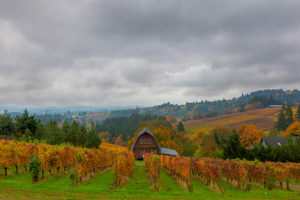 These cooler days are also the coziest time to visit the warm and welcoming Yamhill County wineries, which offer a welcome respite from the drizzly cold weather outside. After sampling excellent Pinot Noir, Pinot Gris or Riesling wines, return to a tranquil Oregon Bed and Breakfast. Oregon Wine Inns has over 20 member Inns, all located in wine country. 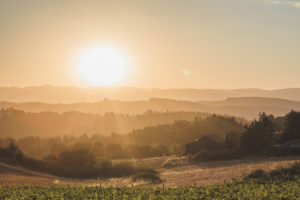 Browse the Bed and Breakfasts by location or the amenities needed for your ideal wine tasting getaway, choose your favorite, then book your getaway to Oregon’s Wine Country today.